The Roots Project - Students at the Dr. Gerald H. Woehr Elementary School in New Egypt build pride in themselves, their family, their school and their community through a program called the Roots Project. 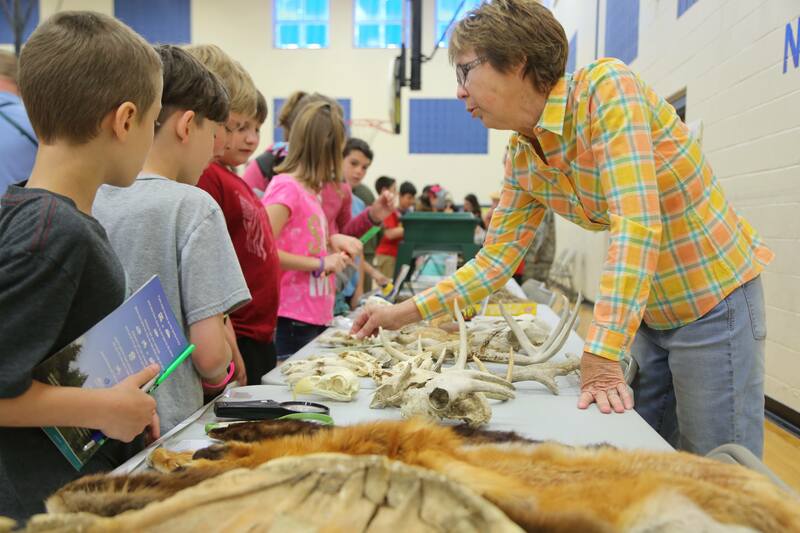 Nearly 400 students spend the entire school year engaging in research, discussion, writing, drawing and painting about the local history, their family history and their town’s agricultural and environmental heritage. This is the Hipp Grant that was named in honor of Classroom Close-up NJ producer Kate Megargee who died in 2013. NJSTA promotes excellence and innovation in science teaching and learning for all. Its vision is to excite, empower and energize all science teachers. NJSTA strives to support and recognize science educators at all levels for their dedication and professionalism; advocates high-quality science instruction in varied and diverse settings and, through leadership and service, seeks to generate and promote public interest in science and science education for all. NJSTA has worked hard this year to provide NGSS resources for all grade levels as teachers across the state implement these new standards in their classrooms. NJSTA sponsors and co-sponsors various functions and activities including monthly newsletters, NJSTA Maitland P. Simmons Memorial Award Summer Institute, N.J. Science Convention, NJSTA Membership Meetings, Super Science Saturday, NGSS support and resources, Engineering in the Classroom, NJSTA Spring Meeting, N.J. Science Olympiad, NJEA Convention, Princeton Junior League, Chemistry Day, Physics Olympics, Odyssey of the Mind, Junior Academy of Sciences, and Science League.